Oh jeez we forgot we had our two-year anniversary! Whoops! 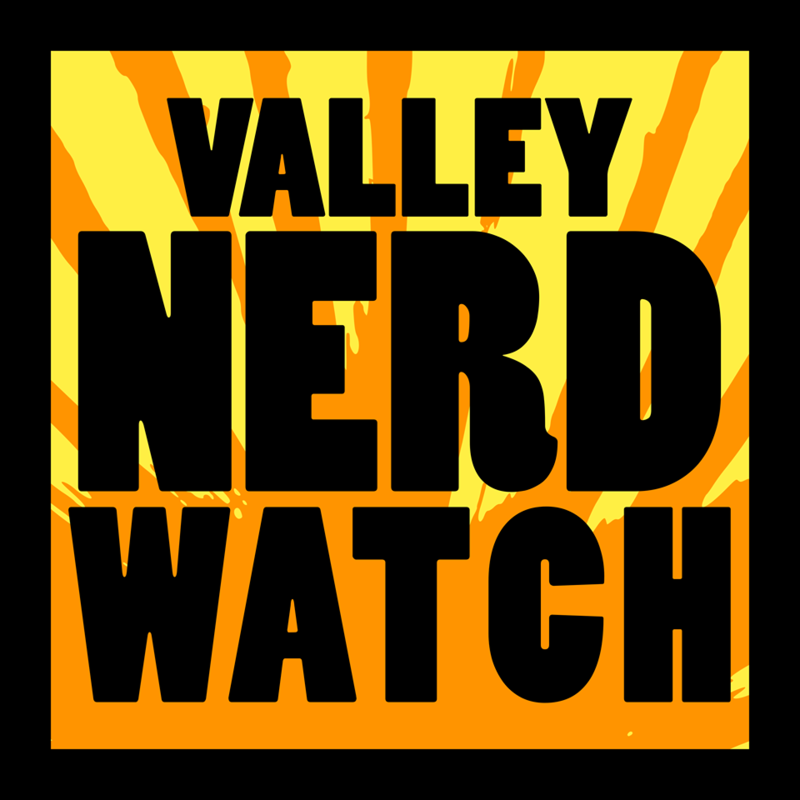 Happy two years to the Nerd Watch! We hope that you got something out of it, we’ve been having fun <3. We've written about 150 posts, totaling something like 200,000 words! That's a lot of words, and the best part is that every last one of them is perfect. First off: we've been playing Valley Creator Rob Daviau's Seafall recently and dang if that's not a neat game. It's a bit of a bear to read the rulebook at first because there's a lot of if/then/else stuff to do that we had a bit of trouble keeping in our heads but darn it is a fun time once you get going. You sail around in little boats, you give people nicknames, you explore islands, you make friends and enemies, it's a great time and like all Legacy games you'll play it more often than literally any other game you own. Also we just finished playing like a LOT of Subnautica after purchasing the Humble Freedom Bundle and it is extremely good! The ocean is dark, and the ocean is terrifying, and nothing good lives in the ocean BUT also it is compelling to explore and we love it. Artist Dread Scott will give a public lecture in the company of Associate Professor of History Barbara Krauthamer about his work. he’s an acclaimed American artist wose work has gotten a bunch of attention and addresses a lot of important topics like police brutality and the legacy of slavery and racism in the US. It sounds like an opportunity to educate yourself about some difficult topics. Steve Strimer will present a selection from the Goodwin Photographic Collection of over 300 glass-plate negatives taken by J.W. Bird and Ferdinand Schadee. See the growth of Florence in the not-too-distant past! Whether you rankle at being called a teen or seethe quietly at being called a tween, this is the event for you if you want to do some printing. Printing is a lot of fun and generally it’s not tough to make something that looks really cool so we recommend you take a look. Adults who write for children are invited to a critique group! Speak to other people about your work, and trade opportunities for development as well as writing and publishing tips. You can also read and discuss stories with other members! For more info call Jane at the library at 413-772-1544! Contributors to the book Words in Transit, a collection of first-person narratives by immigrants to western New England, will present their stories during a panel discussion facilitated by John Voci, the NEPR director of programming and a producer for the Words in Transit project. Learn about your neighbors! They’re nice folks. Go to [place] and eat [food] while discussing a very funny book! Get more context https://www.meetup.com/4scifi/events/237092179/ here as it develops. Hitchhiker’s a nice book that we like a lot, one of the first chapter-books our parents read to us. How did we find any humor in jokes about aspects of adult life for which we had no context? Simple, we were small and not very smart yet so we pretty much just laughed whenever our dad laughed. A great place to discuss topics regarding representation of LGBTQIA+ folks in games and comics! It’s a good discussion with a lot of nice people and you’ll probably have fun. Admission is by day pass, $5 that immediately becomes store credit! Learn how to speak to dogs, we can only assume. Why is this not a bigger deal? We had no idea all it took was a two-hour course! But for real learn how to interpret and connect with your animal pals! Have you just started using a bunch of Google Apps? Want to make sure you’re getting the most out of your various Google-branded things? Learn how to collaboate, make contact lists, organize yourself, share your calendar, and much more! Join the friends of the Forbes Library for an event that serves refereshments! Yay! Also, you’ll get to meet the newly appointed Library Director Lisa Downing! Tickets are $10, $6 for students and seniors, to this night of delightful music and entertainment with Mohammed Mejaour and Michel Moushabeck! Arrive early to shop at a 20% discount! Ever wanted to try your hand at unseating the Iron Chefs? This is your moment to shine, aspirational teen chef! The main food is going to be chocolate. You’re going to get 8 ingredients, 4 of which will be odd. You need to use at least one of the weird ones and 3 overall to make the best tasting dish! The winner gets a little prize! Check out the meetup group https://www.meetup.com/thepvg/ to sign up and get further details if this sounds interesting! Play some classic Nintendo games as you salivate in anticipation of the Switch! Learn about early American boycotts of British trade goods and how they created a common American identity in a country that was still super super British. Always a good plan to know your history, keeps you from being caught flat-footed if the Doctor ever needs your help. Author/Illustrator Hazel Mitchell will read her new book Toby, a sotry about the bond between a child and an adorable dog! Read a story, make a craft! You know the drill, folks. Storytime about dinosaurs! Josh Funk will read Pirasaurs, a tale of dinos gon rogue, and Anna Staniszewski will give a sneak peak of her new book Dogosaurus Rex! Build LEGO! It’s the building toy that hurts more than you can possibly imagine when you step on it only you don’t need to imagine because you’ve definitely stepped on it we all have. This mother-daughter team will teach kids manners via pirates! We should teach more things via pirates, it’s a solid didactic methodology. Saturday Morning Kids, Learn Magic Tricks! Learn some cool magic tricks to keep you feeling cool while the weather’s cool! … cool. Jungle Gym Jam will delight and entertain your kid while secretly also teaching them to be a bit nicer to folks. From the description “In an engaging and personal talk — with cameo appearances from his grandmother and Rosa Parks — human rights lawyer Bryan Stevenson shares some hard truths about America’s justice system”, educate yourself! Have some snacks as you watch the a delightful children’s film in the Community Room! This one got hit by the SNOWPOCALYPSE and moved to a new date! Still has the same great biologist content though!